Where to buy a car seat for your child? With car seat laws constantly changing, it’s important to keep on top of all new rules and regulations being put into place to ensure that you’re doing everything you can to keep your child safe. 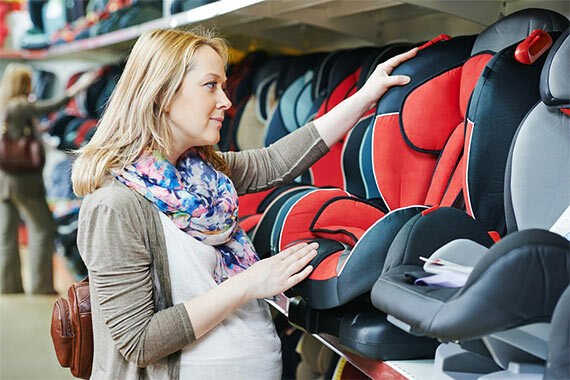 Details on age limits, the type of car seat, and the safety of your child seat are all important factors that will determine what type of seat you’ll need to buy. 0-9 months or up to 13kg Newborns must have a rear-facing seat that should ideally be fitted in the back seat of the car. Any child from birth to 13kg should be safely secured in an infant’s child seat. If you did want to install your seat in the front, you must deactivate the front-passenger airbag beforehand. If activated, airbags can cause serious injury in the event of a crash. If this cannot be done in your vehicle, the seat will need to be placed on the back seat. These seats provide more head, neck and spinal support for your baby, and you should always keep them in one until they exceed the weight limit. 9 months – 4 years or up to 19kg The next classification of seat is for infants weighing between 9-18kg, and this can be rear or forward-facing. Though there is an overlap of 4kg between the first and second weight divisions, it is advised that you allow your child to reach the higher end of their classification before purchasing a new seat. The next step is a forward-facing seat that is formed of an internal harness that keeps your young child strapped in tightly to avoid them sliding out. Keeping them in this until they outgrow it again is the best option, which in the end will come down to them being too heavy or tall for the seat according to manufacturer guidelines. 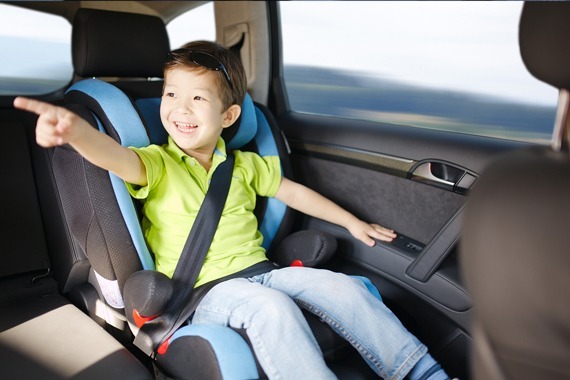 Taller than 125cm and up to 22kg Once your child has grown too big for a harness, it will be time to move up to a booster seat or cushion and the use of a normal seatbelt to hold both them and seat in place. The seatbelt should fit as it would a full grown adult; with the lap strap around the pelvic region and the diagonal strap resting over the shoulder and not the neck. It was announced in April this year that stricter rules regarding the use of booster seats are expected to come into force later this year. When approved they’ll limit the use of backless booster seats to older children. Under these new rules, backless booster seats will only be approved for use for children taller than 125cm, and weighing over 22kg. At the moment however, children weighing as little as 15kg (that’s around three years old) can travel in backless booster seats. But many car seat experts agree that this type of seat is unsuitable for such young children. Small children aren’t held as securely in the seat, the adult seat belt doesn’t rest across their bodies effectively. Most importantly, a booster seat offers no protection for a child if you are involved in a side-impact crash. 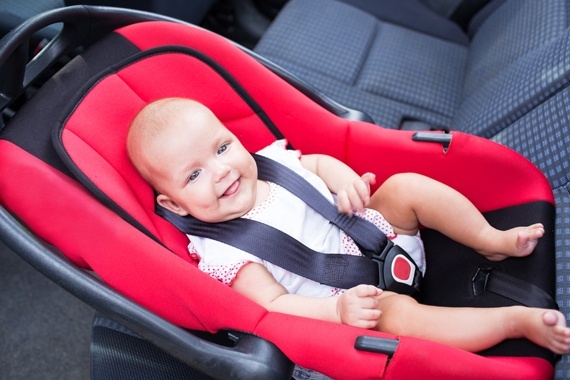 Height-based child seats were passed into UK law on the 1st April 2015. Known as i-Size seats, these are based on the height and age of your child rather than weight. i-Size regulations are gradually coming into force, and dictate that your child must be in a rear-facing i-Size car seat up until 15 months old. This is recommended as safer for the child. Once your child is over 15 months old, forward facing i-Size seats can be used. These regulations only apply to i-Size seats using ISOFIX technology, and not standard belted designs. Children are required to have a car seat until the age of twelve or until they reach the height of 135cm; when it is safe to sit in a car unaided. All car seats have to be sanctioned in Europe and this can be verified by checking for the letter ‘E’ in a circle displayed somewhere on the product. Always make a purchase based on how you are going to use your seat. Heavier options are better if you plan to leave them permanently installed, whereas lighter child seats are better for moving around. Never buy second hand car seats are not recommended unless you can be certain of their history. This is because the seat may have been weakened in an accident, may not meet the current UN ECE 44.03 safety standards, be incomplete or missing fitting instructions. A car seat is a necessity for a child when travelling in a car and buying the right type can offer an invaluable peace of mind on the road. Knowing all the legal regulations is crucial for keeping your child safe while travelling in the car. You can stay updated with any changes by checking Gov UK Child Car Seat Rules for all the latest car seat laws and regulations.